He answered all of my questions and concerns in an excellent manner. 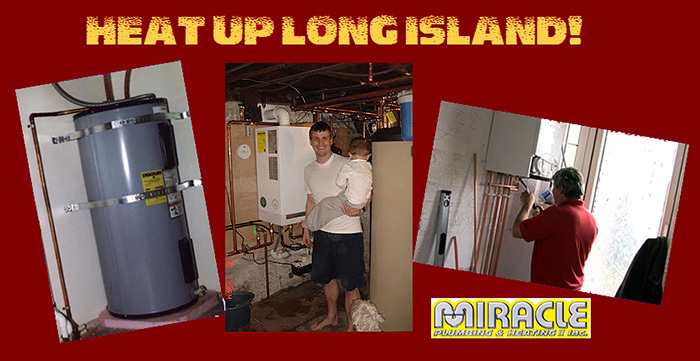 Miracle Plumbing & Heating is Long Island’s heating repair expert! Whether it’s an oil-to-gas conversion or frozen pipes, no job is too big or small. Miracle Plumbing & Heating has specialized in Long Island Heating repair for 20 years, including the replacement and installation of boilers, hot water heaters, furnaces, thermostats, and more. We offer 24 hour emergency service, and financing for all of your plumbing and heating needs! Call 855-HEAT-UP-LI (855-432-8875) toll free with any questions or to schedule immediate service. We’re here to HEAT UP LONG ISLAND! 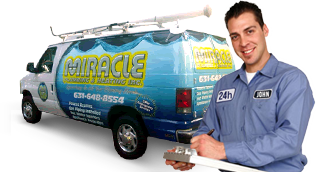 Miracle Plumbing & Heating is working around-the-clock restoring heat to those impacted hardest by Hurricane Sandy. We’re dedicated to serving the community, and you can expect the same level of commitment for your own home. Miracle Plumbing & Heating is fully licensed, insured, bonded, and all work is guaranteed. You can save up to 34% on your heating bills this winter! Is it the right time for you to convert from oil to natural gas? We can address all of your questions and concerns and move forward with the best possible solution for you and your family’s needs. 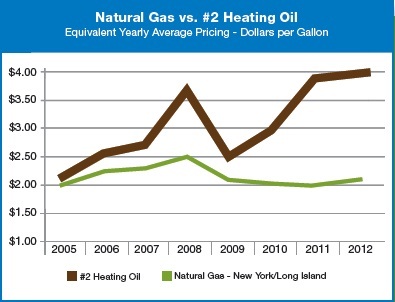 Switching from oil heat to natural gas provides substantial savings. In addition to the price advantage of natural gas, a new heating system can be 30% more efficient than a 10-year old system. Homeowners save by using less energy with a new natural gas system. Natural gas burns more efficiently, so you use less gas than you would oil with less maintenance. Customers don’t pay for natural gas until they use it. Natural gas is also better for the environment, more dependable, and provides service without electricity. Some natural gas appliances operate during a power outage, so you may continue to stay warm, cook meals, and have hot water.